Transfer from St Lucia Airport to Bel Jou Hotel in Castries . lowest St Lucia Taxi Rates, Fares, and Fees. What is the lowest price for a shuttle from Hewanorra (UVF) International Airport to Bel Jou Hotel ? While the number of people in your party can play a role in the price of a taxi or airport shuttle, you will find that we offer the lowest rates on the island. We provide Private shuttle transfers with a minimum of 2 or more persons starting at USD $75 for a party of two. 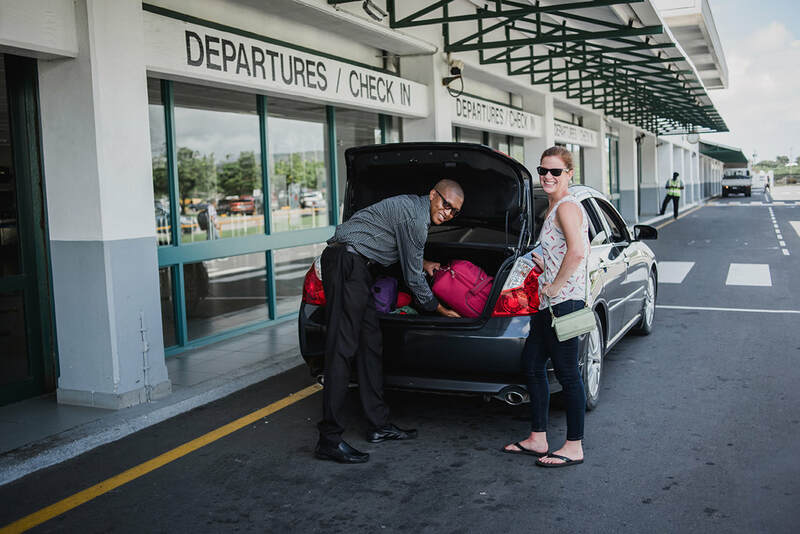 ​If you are looking for the best rates on private airport transfers from Hewanorra (UVF) Airport St. Lucia to the Bel Jou Hotel in Castries, look no further. ​Our rates for this transfer, which takes a little over an hour via the island’s east coast, range from $70.00 to $75.00 USD. Enjoy the scenic drive, navigated by one of our friendly local drivers, and take in the view. In fact, if you like, you can even request a stop to take photos of the island along the way. The Bel Jou Hotel is one of the most highly rated hotels in Castries, offering free wi-fi, free parking, a delightful breakfast buffet, and other amenities. Its location is also perfect for exploring the island’s historic capital or enjoying some duty free shopping. Whether you are here for work or play, the Bel Jou is a great choice. Looking for the best rate for a private airport transfer to Bel Jou Hotel? Whether you are looking for a round trip or one-way quote, you will find that our private taxi service offers the best St. Lucia transportation at the best rates on the island. If you are curious to know the distance between Hewanorra (UVF) International Airport St. Lucia and Bel Jou Hotel in a private, executive car transfer, you will find that it is about 90 minutes via the island’s scenic east coast. Our drivers will track your flight and wait as necessary to accommodate any changes in schedule in order to ensure that they are ready and waiting for you as soon as you clear customs. All of our courteous drivers are local to the island of St. Lucia and you will find that they are happy to answer any questions you may have about the island, from the best places to eat and shop to what attractions are not to be missed while you are here. In addition to knowledgeable, friendly drivers, we also offer the best rates on the island. Whether you are looking to make a one way trip or will be using our service for round trip transportation, our private transfers are offered at the island’s best rates and our cars are always climate controlled. For example, a private transfer from Hewanorra (UVF) International Airport to Bay Gardens Beach Resort is only USD $75 for up to three people.